NASA has appointed a board to investigate the July 16 early termination of a spacewalk outside the International Space Station, develop a set of lessons learned from the incident and suggest ways to prevent a similar problem in the future. The board will begin its work Friday, Aug. 2, in close coordination with a NASA engineering team already examining the spacesuit and life support equipment astronaut Luca Parmitano of the European Space Agency (ESA) used during the excursion. The engineering team is working to determine why water built up inside Parmitano's helmet. Chris Hansen, International Space Station chief engineer at NASA's Johnson Space Center in Houston, will chair a five-member board. -- Joe Pellicciotti, chief engineer, NASA Engineering and Safety Center, Goddard Space Flight Center, Greenbelt Md. The board will have access to experts and support personnel including an ESA liaison. Members will gather relevant information, analyze facts, conduct any necessary tests, identify the cause or causes of the anomaly and any contributing factors, and make recommendations to the NASA administrator to prevent similar incidents from occurring during future spacewalks. The board's investigation will run parallel with the engineering analysis already underway. The engineering team is focused on resolving equipment trouble in an effort to enable U.S. spacewalks to resume. The mishap investigation board will look more broadly at past operations and maintenance, quality assurance, aspects of flight control and other organizational factors. The board's responsibility is to make observations and recommendations that can be applied to improve the safety of all of NASA's human spaceflight activities. Because of the helmet problem, flight director David Korth terminated the spacewalk after only 1 hour, 32 minutes. It was to have lasted 6 1/2 hours. 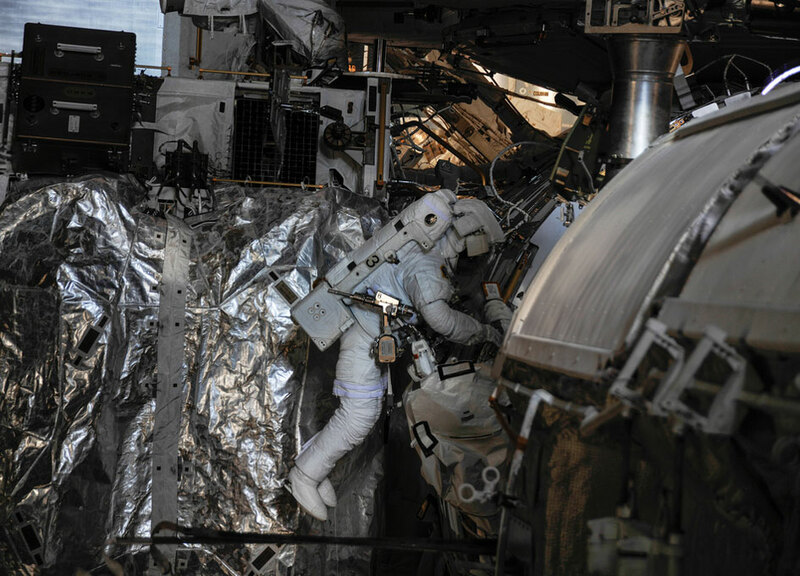 Parmitano and fellow spacewalker Chris Cassidy of NASA safely returned inside the orbiting outpost.